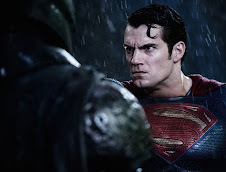 Who knew a game of Rugby would give us the first comments from Henry, on Ben Affleck's casting as Batman. 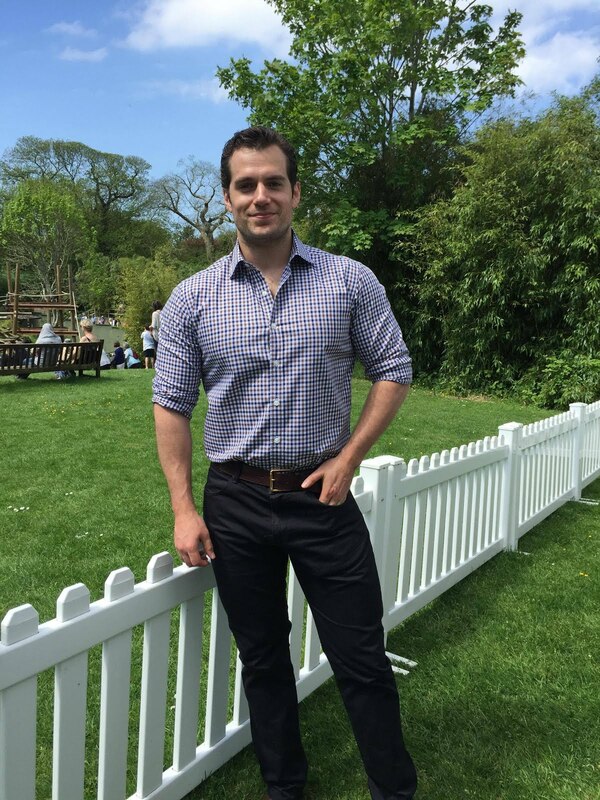 Henry is back home with his family this weekend after wrapping up promo for Man of Steel in Japan. As soon as he showed up to the afternoon game today, Jersey tweeted up a storm. 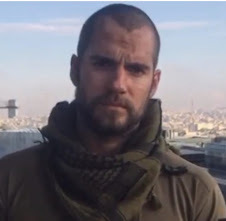 Among the journalists there was BBC's Kevin Pamplin, who asked Henry about the big casting news. 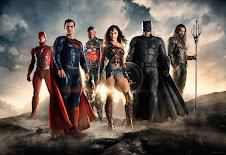 Henry exclusively told Pamplin he's "so very excited about working with him (Ben)" on the Man of Steel sequel, set to begin production reportedly in February. Here's the rest of what he told the BBC. 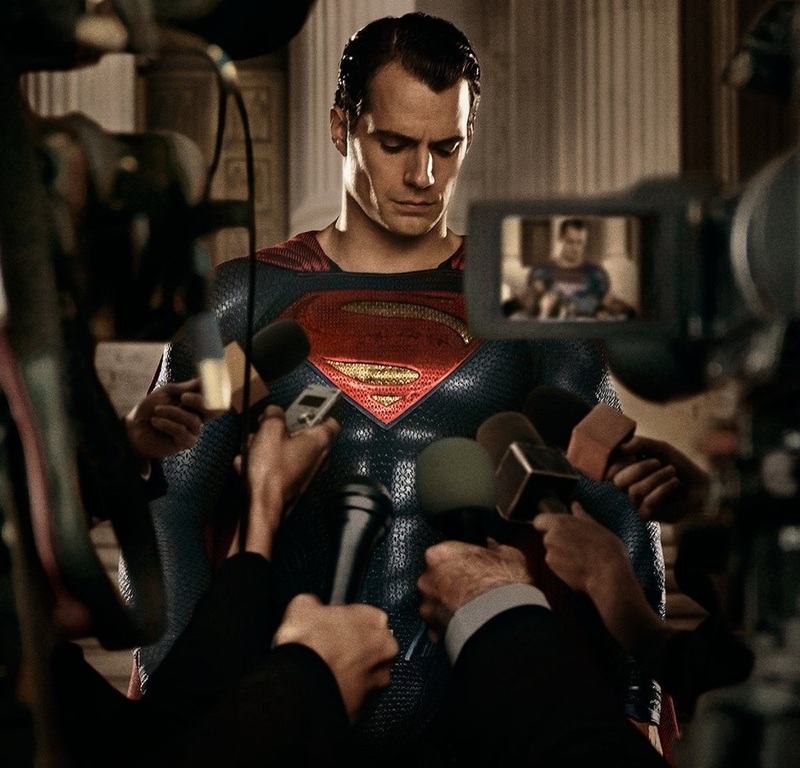 Cavill on Affleck: "He is such a great actor Im so very excited about working with him. He is going to have such a presence. 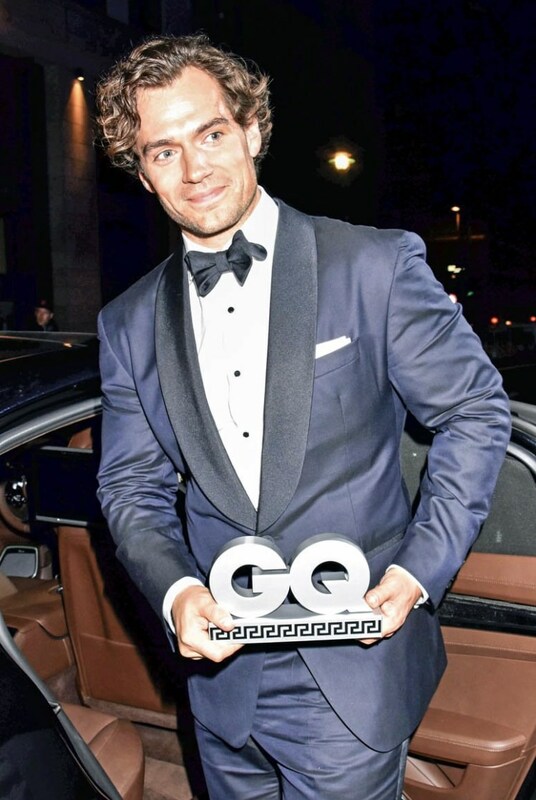 I can't wait"
Cavill more today - "I feel good its been such a great year happy to be home & all with that comes next" He returns to London in few days! So there you go. He was in good spirits & chuffed with the response we all had (especially for us on @BBCJersey) from the #JerseyCI premiere. And the pics & tweets kept coming. But first check out this awesome video of Henry as he left the game with the Leicester Tigers... and gave up his fancy ride. Could he be any nicer?! Rupert Myers: This is classic! `Superman` back home in Jersey ending up on the Tiger`s team bus whilst British Lion takes his limo! Henry with his dad at the game courtesy Jersey Evening Post via. 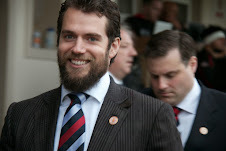 jerseyrfc4h: Superman, Henry Cavill propping up the bar @jerseyrfc prior to ko. He didn't need a space in the car park! SarahBailey23: So here I am on the balcony at JRFC watching the Tigers play Jersey and who happens to be only a few hundred yards away? 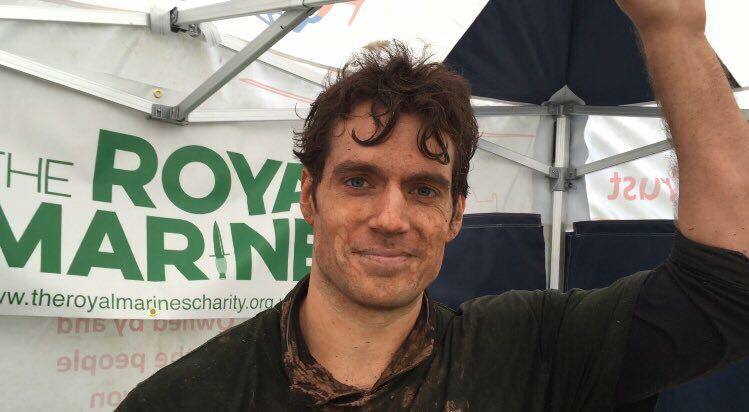 Only Henry Cavill. @AmyVHarris: A little starstruck. Superman (and jersey boy) henrycavill a few metres away from us watching game! Mrtompayne: Actual Superman is on the balcony for the #tigers v #jersey match. I've never felt so inferior. 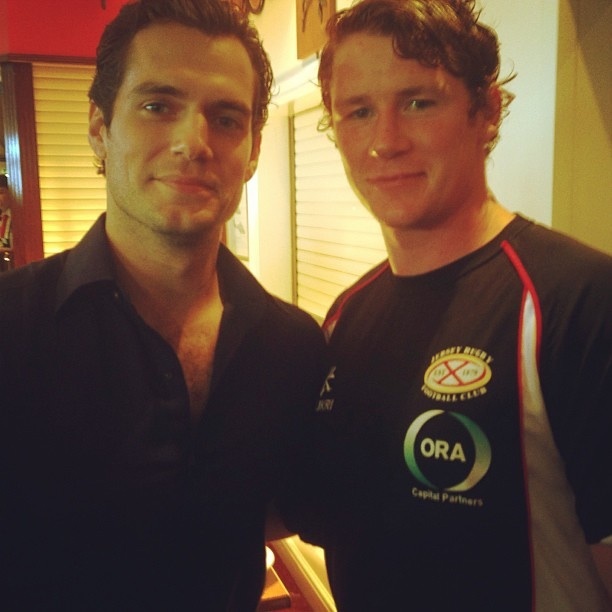 @epenberthy98: Well this was a surprise seeing the new superman and man of steel #HenryCavill at @jerseyrfc yesterday!! 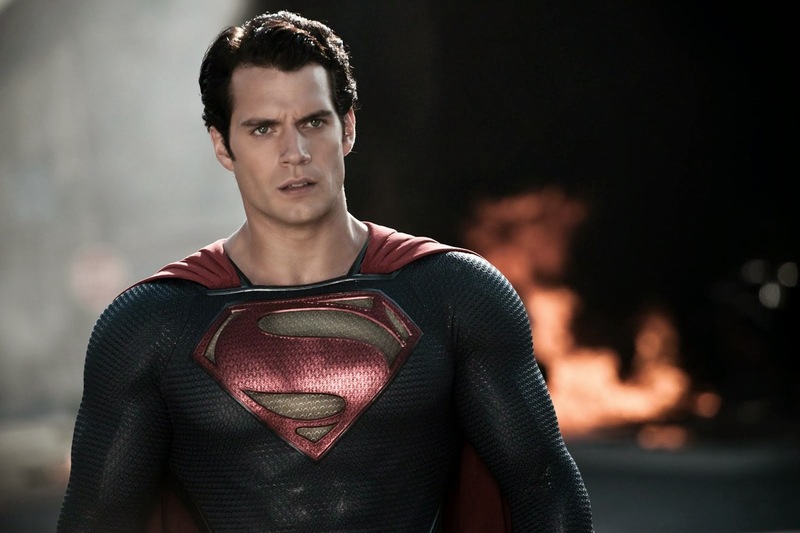 @jerseyboysam Just seen #henrycavill swaggin through st helier, jersey like the boss he is!!! 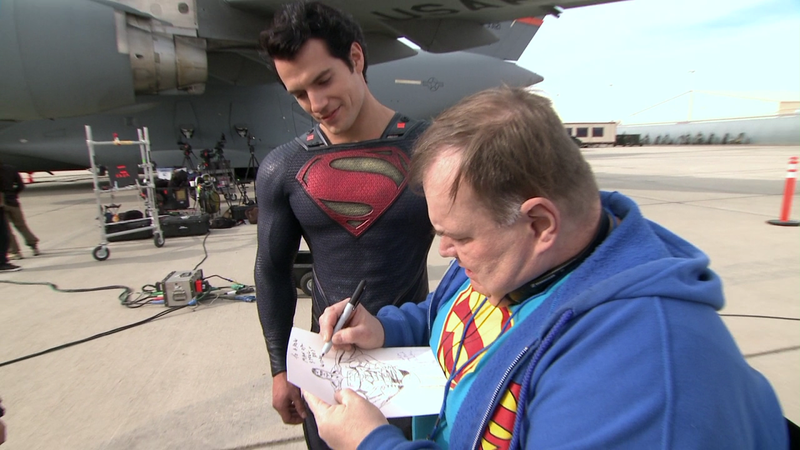 Superman legend! emtwinny: The most beautiful Jersey Man and Lad right there. 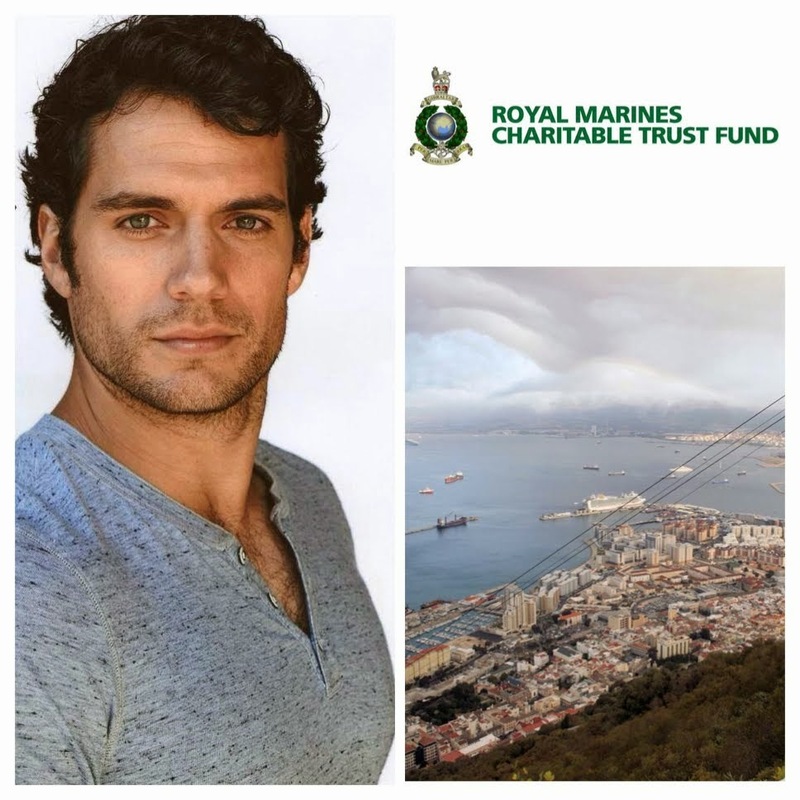 .. #HenryCavill #Superman #Actor @alicemckenna92 has just made my night... ♥ #crush #friend #Jersey... Why aren't I in Jersey!!! 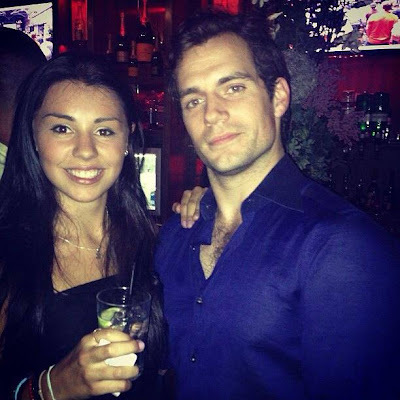 @JerseyITGuy: Casual night out w/HenryCavill & @LeicesterTigers. Great bunch putting up w/hundreds of photo requests & smiling every time. Little_owl: Just call me Lois Lane #superman #henry #hunk"
The club where Henry was at posted these great pics on their FB page. @OtooleCheryl: do you like my selfy ?? 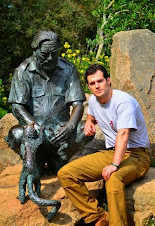 Hope Henry is enjoying a bit of a break before he resumes his pre-production work on The Man from U.N.C.L.E. - Filming starts in a little bit more than a week. Look for updates as we get them. 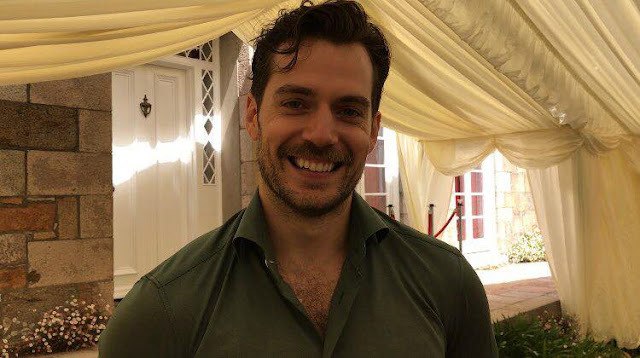 And thanks to all of Henry's fans for sharing their great pics. See the ones with the equally hot striped shirt in this post (guessing from Friday night). 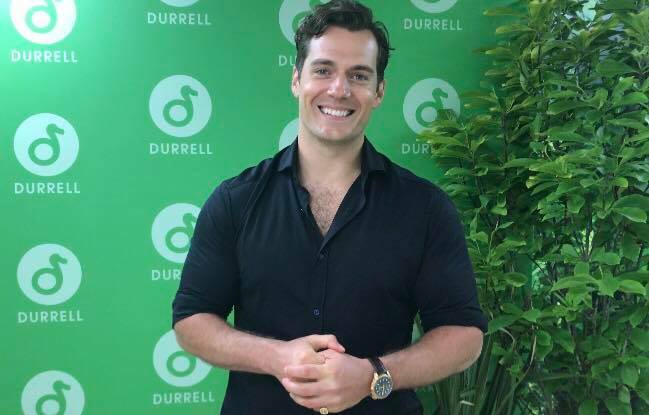 His top buttons have been bulging all day...all during promo for that matter. It finally popped. It actually looks like somebody is pulling the back of his shirt, based on the way his collar is situated. Looks like something was spilled on his shirt and he opted to maybe go home and change it. 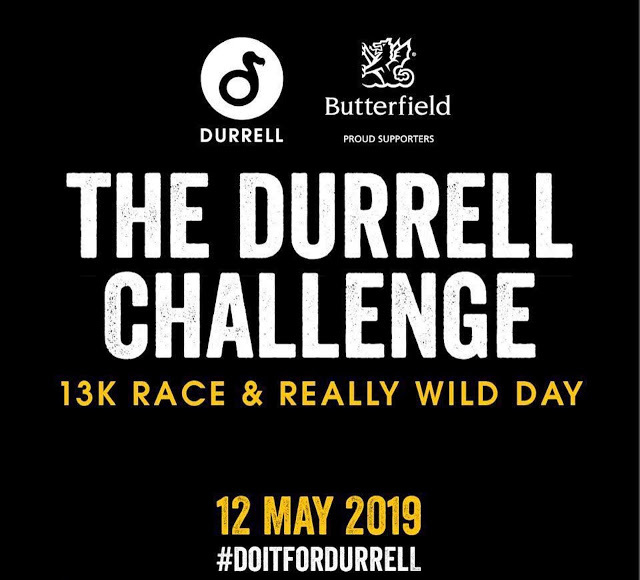 Come on Folks. The guy is trying to relax before his next film. Yea, we all know he likes to drink. I guess once in a while is okay. He was there watching a game and after all he was very nice to his fans. He seemed like a very cool guy. How often do you see celebrities so down to earth. I had once criticized his drinking habit (yep guilty) but you know what, he enjoys a drink once in a while and it is his life. As long as he is healthy, and not overly drunk doing crazy stuff, it is none of our business. I'm confused. Who here is criticizing him? Or are you just replying to the very first poster? Yea, sorry I was replying to the first poster. I sense he was being funny. I was really not referring to anyone in particular, just a general comment with regards to his drinking. I am the first poster & I was trying to be funny! Of course,it's his life but he is putting it out there for us to see,right??? He is no longer Mr. Private. I love it!!! He's back home. Everyone looks like they're so excited to see him. Such a down to earth nice guy. 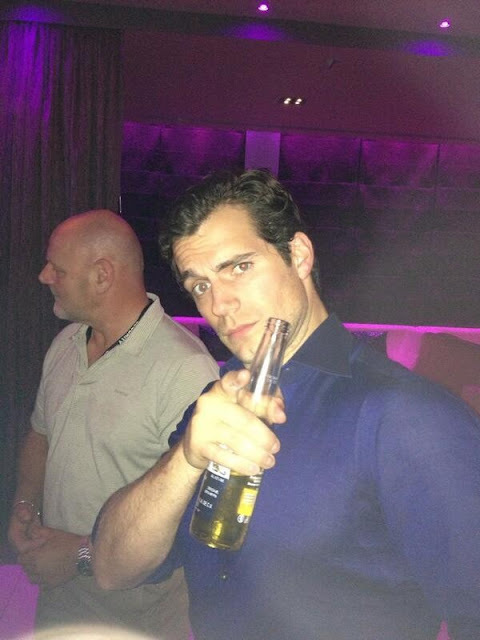 Wait, is he drinking Corona light beer? Coz if he is, he just gave me life! I swear I have so much in common with Henry! And on top of that he's wearing my favorite color blue and he's got well organized chest hair! ;)He's down to earth, very normal and social, kind, eh! Mmmmmmmmmmm! Yes! That's My kind of man! Well once the public gets a hold of you and you are on top of that famous, you can forget the privacy. He also knows that and said his privacy is no longer the way it used to be. But am glad he said that he is not an events kind of guy. And he loves to leave his car home and walk. He certainly likes to drink a lot, that's for sure!!! Well, he's handsome, famous and 30 years old, with a lot of women coming after him. Let him enjoy it! 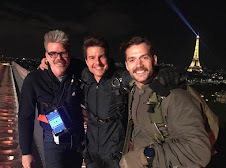 Although I admit the seeing him drunk in a lot of pictures (this is not the first post to show that) doesn't ad much to the gentleman fantasy that we have when we see him in the interviews. I love him in the interviews! The guy is good looking; I can't argue there. But I have to agree that he got the "it" factor when he does interviews. He is charming, polite and witty. The most interesting interviews I've seen is his reaction to "weird" interviewers. It is priceless to watch how he reacts to interviewers that are "starstruck" with him. I have seen a few interviews where he bluntly but politely refuse their "outrageous" requests. 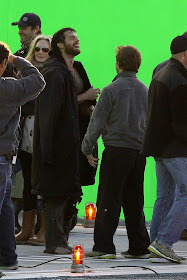 Well it is really interesting to see him trying to have a sense of "normalcy" after M.O.S. I mean he was well known from Tudors but I think M.O.S. put him on the map. At least it did for me. I am just trying to catch up with his past films and tv projects. I have to say that I really enjoy him in the Tudors (just finished season 2). 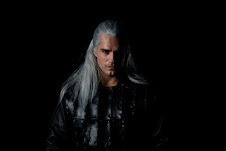 He plays Charles Brandon very well. But you got to admit, it is funny to see the fans reaction to him. Anyways, funniest pic are the one with the two giant guys next to him and the "overly exposed" pics.